You are here: Home / Blog / Diet / What Drives Your Cravings? What tops your craving list? Chocolate chip cookies? A big bowl of ice cream? Or perhaps you lean toward salty snacks like chips? I’ll be honest with you. I get cravings, too, and sometimes I cave. If you know me personally, you know that I am not the food police. I don’t press for perfection in dietary choices, but I do want you to make informed decisions. The issue with eating processed foods (and the chemicals that come with them) on an ongoing basis is the danger of addiction, not to mention malnutrition. We absolutely don’t want either, as they can disrupt the way our bodies function and wreak havoc in more ways than you can imagine. Does addiction sound like a strong word to use in this situation? Addiction is defined as a brain disorder characterized by compulsive engagement in rewarding stimuli, despite adverse consequences. Processed foods, especially the fat-free variety, are high in sugar which is addictive. They are also engineered to encourage us to eat more. 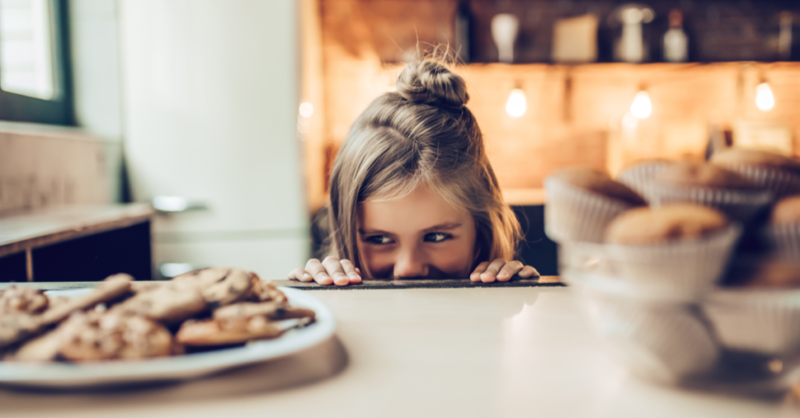 In addition to addiction, cravings can be caused by an imbalance in the gut microbiome – the community of bacteria that lives in your small intestines and colon, helping to digest your food, making vitamins, and supporting your immune system. 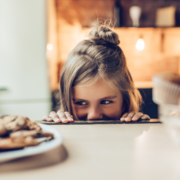 When this microbiome gets overrun with certain bacteria or yeast, it can cause strong cravings for sugar or foods that turn into sugar quickly, because that’s what they eat. If you feel you may be addicted to sugar or processed foods, you can turn it around by adding more good bacteria to balance your microbiome. Consuming fermented foods that are filled with the good bacteria your body needs can begin the process of restoring balance resolving your cravings. These fermented foods can include kimchi, sauerkraut, kombucha and kefir to name a few. Choosing at least one of these to add into your diet each day this week will begin to bring the good bacteria back into your body. You can speed the process by taking a daily probiotic to help balance your bacteria as well — my favorite brand is Renew Life Ultimate Flora Probiotic Extra Care. If you’re craving potato chips … try raw carrot or celery sticks instead for that crunch. Dipping them into hummus can make them even more satisfying. If you’re craving a soda … try sparkling water. I like it with a squeeze of lemon or lime, but if you prefer flavors there is La Croix. With variety from which to choose, this is a step toward finally ditching that soda! If you’re craving a milkshake … try a smoothie instead to quench your desire for something cold and sweet. Even better, make it a green smoothie. For those times when you do indulge, do so mindfully. Plan to control your portion and consume it slowly, savoring each bite. Practicing restraint and mindfulness is an incredibly useful tool for you. You can pursue wellness by using a variety of tools to restore a balanced microbiome in your gut and overcome cravings. Consuming fermented foods and supplements, crowding out your cravings, and eating mindfully are all tools you can use to win the battle. Does the process seem daunting? Contact me. With my help, you can discover how good you can feel in your body! Arm Yourself Against Illness Inflammation … Friend or Foe?